Our smartphones are the center of our digital universe, and they hold lots of data: text messages, photos, browsing history, etc. If your iPhone's storage is at capacity, then follow these simple steps to make room for more data. 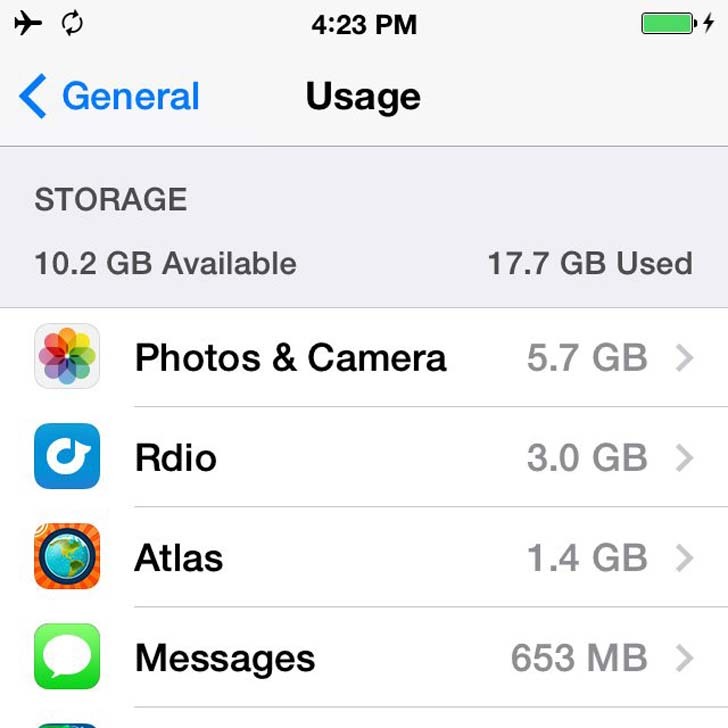 On the iPhone, head to Settings > General > Storage & iCloud Usage to view how many gigabytes you have available. Tap into "Manage Storage" and you'll see a lost of apps by how much storage they occupy — Photos & Camera is likely to be at the top of this list. On a Mac or PC, plug the iPhone into a computer and open iTunes to click on the phone icon and view storage broken down by Apps,TV Show, Music, Movies, Photos, and Other. Hover over one of these categories with your mouse to view details. "Other" represents settings, calendar events, notes, browser cache, email, email attachments, and more nonmedia data. If Other makes up an overwhelming amount of iPhone storage, then there may be an issue with corrupted data. If you've tried deleting all of our suggestions and there is still lots of Other storage, then consider restoring your iPhone. Reduce what is synced to your phone. Consider syncing selected playlists or genres rather than the entire music library, and deleting podcasts, movies, and TV shows after you've finished watching them. Have a space-saving tip not listed here? Let us know in the comments!